Tuesday is traditionally a tough day. It starts with vBreakfast at 7:00 am and usually ends with vendor parties late at night. Although you need to get up very early to meet with others for vBreakfast before VMworld, it is totally worth it. A little crowd of vGeeks gathers at restaurant La Vid before sunrise to talk about virtual and non-virtual stuff. It is a place to meet people in real life that you’ve known so far only by Twitter or blogs. The owner of the location doesn’t seem to be a morning guy. Look for hashtag #grumpywaiter on Twitter for (funny) details. 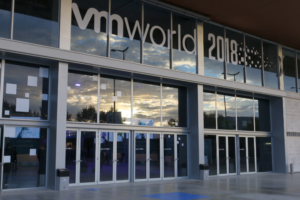 13.000 visitors are registered for VMworld 2018. So no wonder the Virtual Village is crowded with people waiting for the first general session. Hall 4 was filled up to the last seat, but attendees can follow general sessions from large video screens in Virtual Village too. 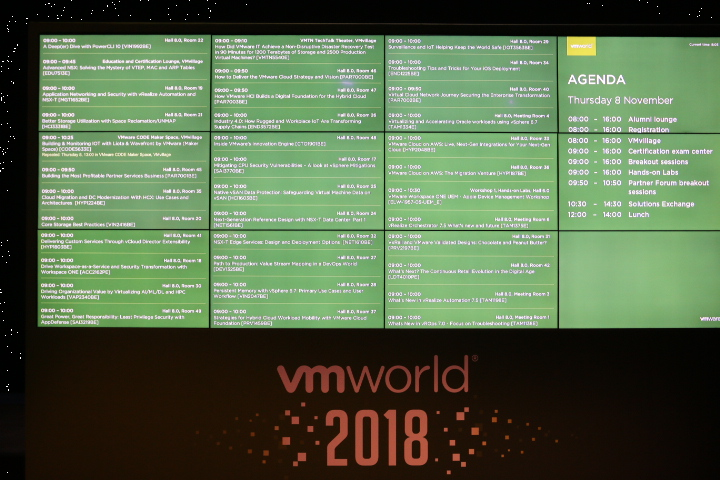 Pat Gelsinger, VMware CEO, leads us through the opening keynote of VMworld 2018 Europe. Together with Ray O’Farrell, VMware CTO, he focused on the four current technology superpowers: cloud, mobile, AI/machine learning and edge/IoT. Arvind Krishna, senior vice CTO of IBM Cloud and Pat Gelsinger talked about the extended partnership between VMware and IBM Cloud. 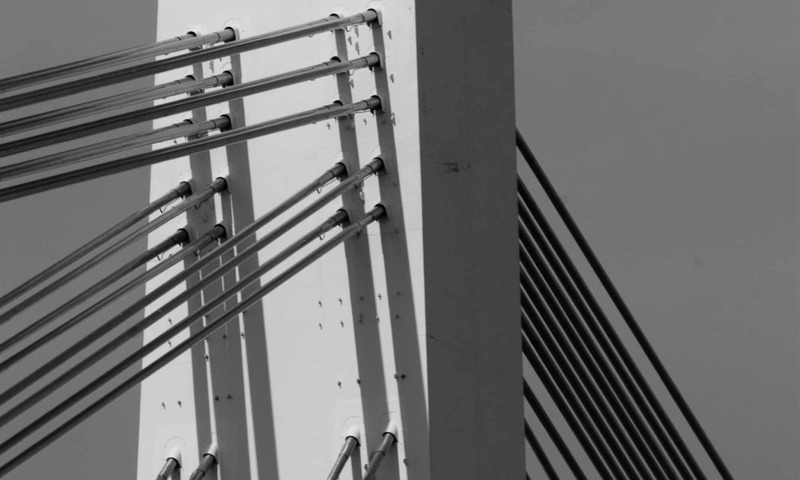 VMware just recently bought Heptio, a startup that provides professional services helping enterprises to use or adopt Kubernetes. Pat was then joined by IBM Cloud’s Arvind Krishna to discuss their new partnership with VMware and lay down the rule of the cloud: ruthlessly automate everything. 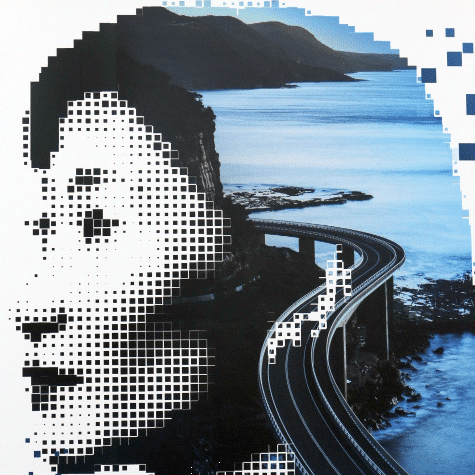 This was followed up by news of several exciting acquisitions, including Heptio and CloudHealth. Watch the full session on YouTube. Right after general session doors open for Solutions Exchange. A great place to get firsthand information about services and products by VMware and more than 100 3rd party vendors. Many vendors have booth sessions, where an expert presents the product to the audience. VMware has built a little theatre on booth 317 and features short sessions every 30 minutes. Also more breakout sessions take place right after general session. One should plan ahead time, because there are long ways to walk between main area and building 8, where most of the breakout sessions are located. At 17:30 there’s the Welcome Reception in Solutions Exchange. Meet with vendors and other attendees, have some tapas and drinks, win some prizes or take home shirts and stickers. Tuesday is very popular amongst 3rd party vendors to celebrate parties on different locations in Barcelona. Planning is a challenge, because you need to get an invitation weeks before VMworld. Tickets are very popular and go away fast.